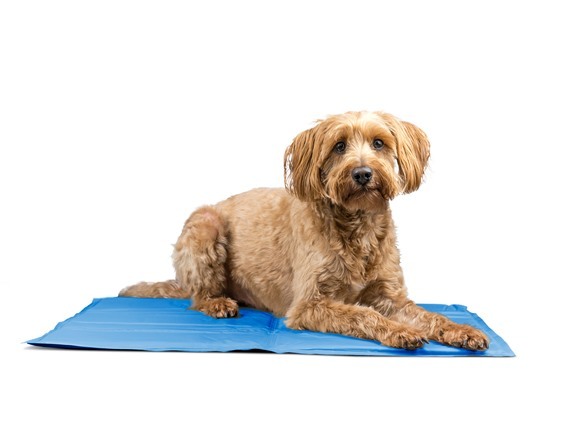 Keeping your pup cool and comfortable has never been easier! 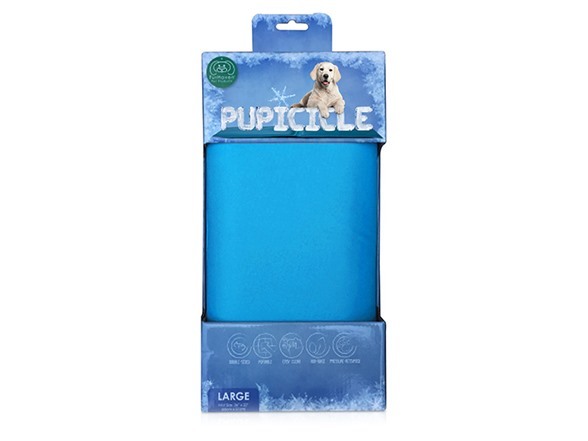 The Pupicicle Cool Gel Mat is the answer to beating the heat and helping your dog stay at a pleasant temperature. The non-toxic gel mat doesn’t require any preparation or refrigeration! Upon contact, the pressure-activated cooling gel will lower your companions temperature for refreshing, relaxing lie down. 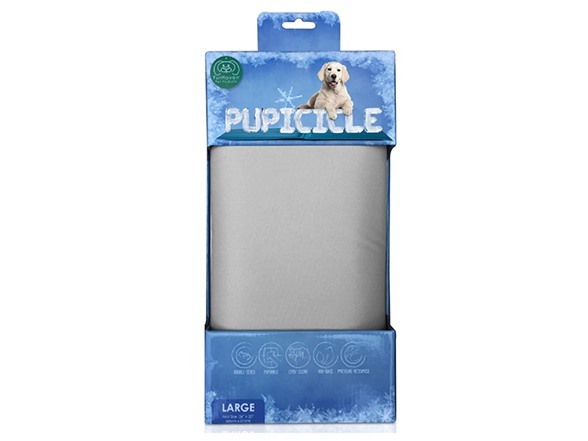 The Pupicicle Cool Gel Mat can be used independently or placed inside your dog’s favorite bed for extra comfort. 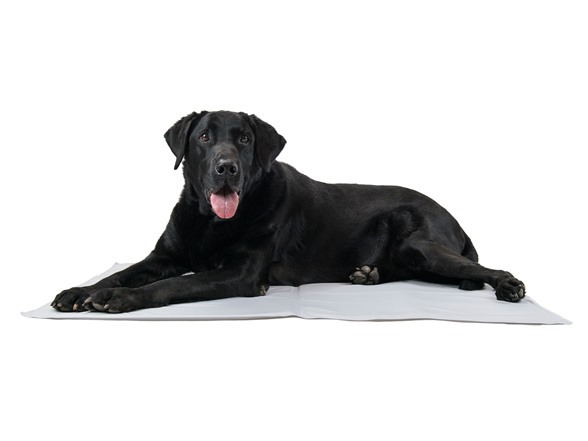 The cool gel mat also helps to relieve joint pain for your pets and is perfect for aging dogs. 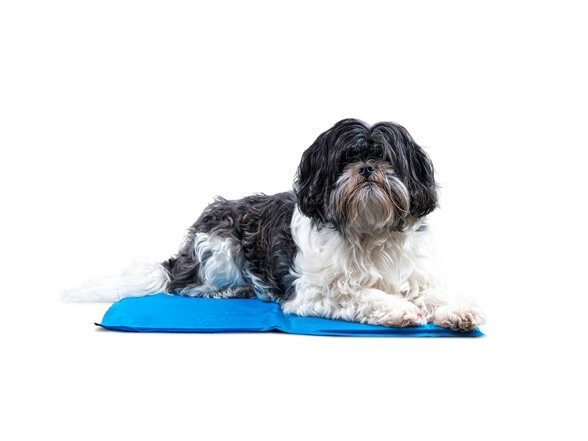 Lightweight and portable, the mat can be moved around the house or even brought to a park or on a walk for a refreshing break from the hot sun. 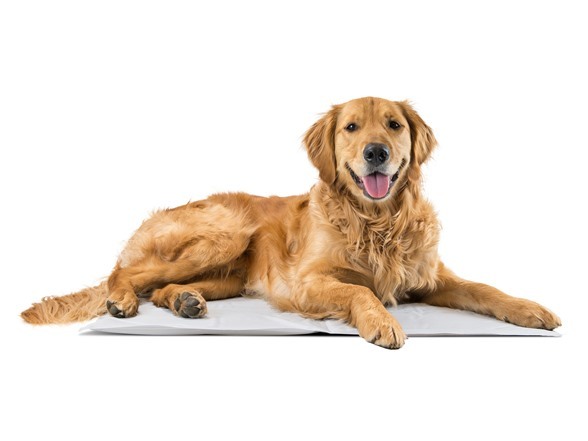 With you in mind, the cooling mat comes in three colors and sizes so that your dog can be comfortable and you can find a shade that looks best with your decor. 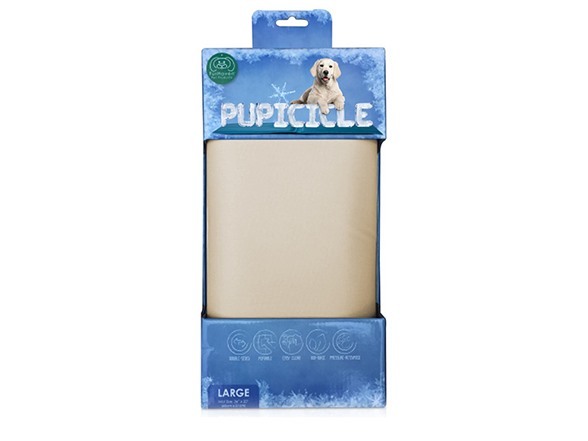 The Pupicicle is easy to clean! Simply sponge down with soap and water and let air dry. 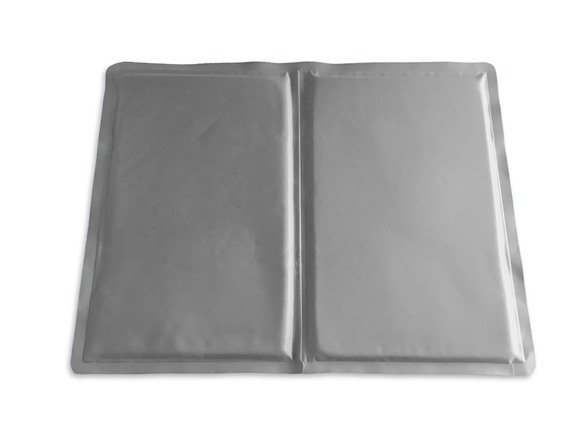 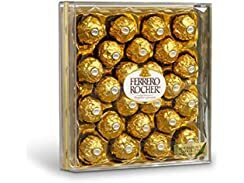 Medium - 20" x 16" x 1"
Large - 26" x 20" x 1"
Extra Large - 30" x 24" x 1"
Jumbo - 40" x 30" x 1"